The year is 2099 Gigabyte Technology has just completed construction their first off-world research and development facility, Yeh Base Alpha. Yeh Base Alpha, located in the heart of the Ceres Mining Federation, named after Gigabyte founder Pei-Cheng Yeh. It is a direct extension of Gigabyte’s “Upgrade Your Life” concepts and policies put in place some 70 years early. Here on Ceres, Gigabyte’s recently developed fifth generation cybernetic systems can be developed and tested in conditions that can’t be replicated on Earth or Mars. These new designs promise great improvements for the colonists and miners of the Expanse. 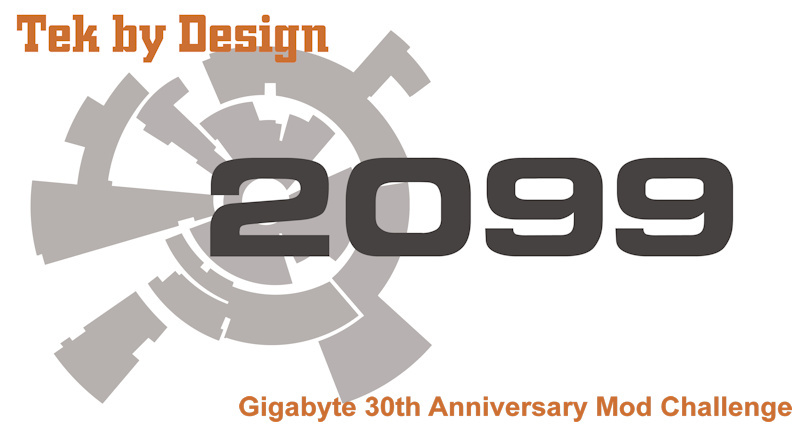 Gigabyte’s dream of upgrading the human condition and making the universe a better place is becoming reality. The interior general design will be loosely based around the moonbase from the 1970's Sci-Fi TV show Space: 1999. The interior will be built to 1/24 scale in a 3 story arrangement. Detail include 1/24 diamond plate, 1/24 scale railings, and nickel plated accents. The exterior will also include dual tube reservoirs recessed into the roof. Below are some ideas that I'll be using for the interior design. The interior will feature a small LCD display. Other elements may include doors and certain wall textures, depending on available space. Last edited by Heath MJ Coop; 09-27-2016 at 06:14 PM. Still working on the overall concept. My plan is to recess dual tube reservoirs into the roof. The exact model and length, I'm not sure of yet. I'm also planning on adding a mural to the other side of the case. Last edited by Heath MJ Coop; 06-27-2016 at 09:07 AM. Parts are starting to arrive, though construction won't be starting for another month due to previous obligations. Jealous of your mb there! It's quite the piece of hardware. I really like it. Sorry everyone for the lack of updates. I've been busy, but then I came down ill. I decided to switch cases. While I really love the Phanteks case, I wanted to use as many parts from the sponsors as I could. To that end, I decided to use the Corsair Graphite 760T case. The cosmetic design is similar to the Phanteks and I've got a soft spot for Corsair's Graphite line. The Graphite 760T is a bit taller than the Phanteks case, which should make fitting all the hardware a bit easier. I really like the dual hinged doors too. I also picked up a set of Corsair SP 140 fans with white LEDs. I think they'll got nice with the overall theme. This is a mod contest, so it's time for me to start modding. First up is cutting up the front in order to fit the EK CoolStream CE 420 (3x140mm) radiator. I started by drilling out a countless number of rivets that hold the front panels to the case. I say front panels, because it is actually two pieces. With most cases, the front panel would be one peice with a second piece made for the 5 1/4 being attached to it. That isn't the case here however. Some quick measurements and a few minutes of cutting was all it took after that. everything fit back together, just as it should. With the 5/14 bays removed the case feels very open, even with the thick EK radiator. Next comes the interior mods to give the case a Sci-Fi feel. With the radiator fitment out of the way, the interior can now be addressed. I had mad the decision to make the interior look like the inside of a moonbase or space station circa the late 70s - early 80s Sci-Fi. The case size meant that working in 1/24 scale would be perfect. I started with the main cable pathway. The piece is built from polystyrene and will allow the 24 pin motherboard and GPU cables to be tucked tightly against the motherboard. Next up, wrapping the inside of the case and modeling it fro the Sci-Fi look. I'm using a combintation of flat 1/16" and 1/32" sheet along with various dimensional pieces of varying widths and thicknesses. A closeup of the 1/24 scale diamond plating floor. The detail is excellent and I think it will add an extra touch of realism. So far I like the way everything is coming together. Next up I'll be moving to the upper sections of the case and building a platform for the second level. Last edited by Heath MJ Coop; 10-11-2016 at 10:12 AM. I wanted to create my own version that seen in the command center in the show. Like the lower section, the command center was built out various different dimensions of polystyrene. The LCD screen was recovered from a shipping damaged Bitfenix case. It's powered by a USB header and can display static images. I simple program is used to changed images. It took slightly over 30 individual pieces of polystyrene to build the command center. It will reside on the upper floor towards the front of the case. I chose a sample image that closely matched the display used in the series, but I'll design an image that is better tailored to the build's them as I get closer to finishing construction. I've moved on to the next couple of architectural items needed to give the 2009 build that sci-fi look. These are the second level deck and the interior radiator cover. Like the lower section and the command center, these pieces were also built out various different dimensions of polystyrene. Many many "lightening" holes were drilled in the beams that create the platform. Later will come the stairs and some 1/24 scale diamond plating, like in the lower section. I was mostly happy with the radiotor cover, but did decide to make a minor change. I bit of work is still needed before it's finished and I still need to pick out a mess to go behind it. The anniversary of the date of my birth!